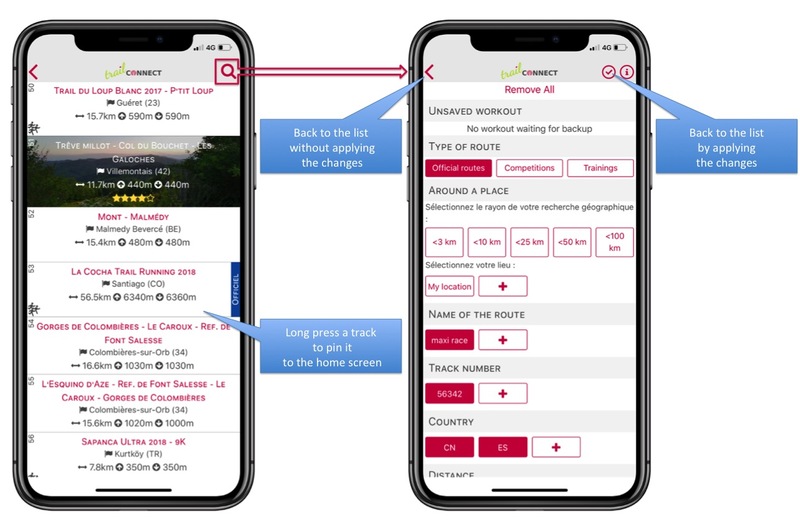 To search for a track on Trace de Trail, you have several choices. On the homepage of the site, a map shows the last 30 validated tracks. When you move your cursor over a marker, a tooltip appears and allows you to open the track page. You also have a button to search for tracks around your current location and a multi-criteria search field. 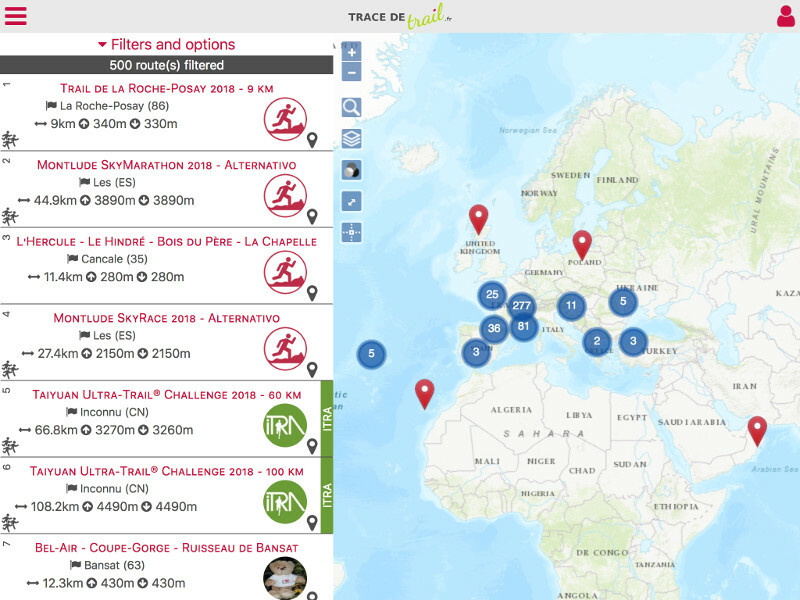 If you click on the button Search a track around me, you open the Trace de Trail main search page with filters that allow you to view all tracks within 25 km of your current location. You must allow Trail Trail to get your location. 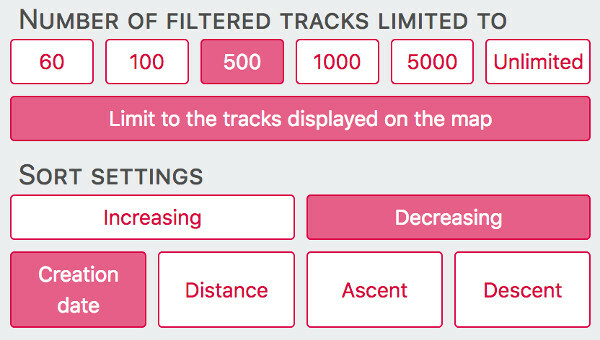 The search page offers many filters to find THE track. This page contains a map, a track list, and a block with filters that is hidden by default. Move your cursor over the list of tracks to display the location of each track on the map and click on the gray marker to zoom on a track. In the list, some tracks are highlighted with a photo : if you want your track to appear in the same way, you just add a photo (landscape format) on a trace of quality (with enough points) and have completed the track ! The number of filtered tracks : by default it is limited to 500 to decrease the loading time of the page. the order and the field used to sort the tracks returned by the search. To refresh the list and apply your filters, use the green Validate button. The Reset button disables all filters. For custom filters, you can add your own filter values using the + buttons. These values will then be saved on your computer and you can choose whether to enable them or not, such as standard filters. The Reset button disables the custom filters, but does not remove them: double-click the custom filter to remove it ! 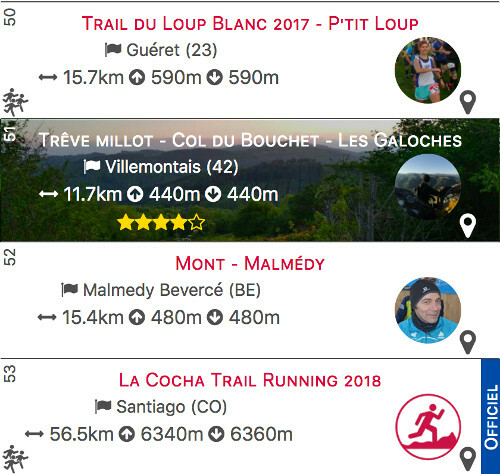 Use this calendar to find your next race in France or abroad! You can filter the competitions by country and by department (France only). Organizers, events allow you to highlight your event in the calendar! 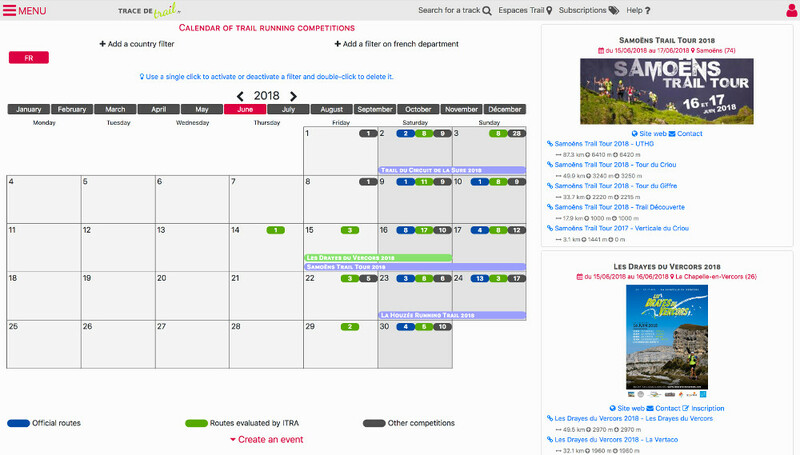 You can click on the the calendar date's box to display all the details of events and the competitions lists. The creation of an event is reserved for Premium or Premium + subscribers (below the calendar). A new event must be validated by an administrator of Trace de Trail before being public. All your tracks created on Trace del Trace are available in our mobile app Trail Connect (and vice versa). So you can also use Trail Connect to search for a track. 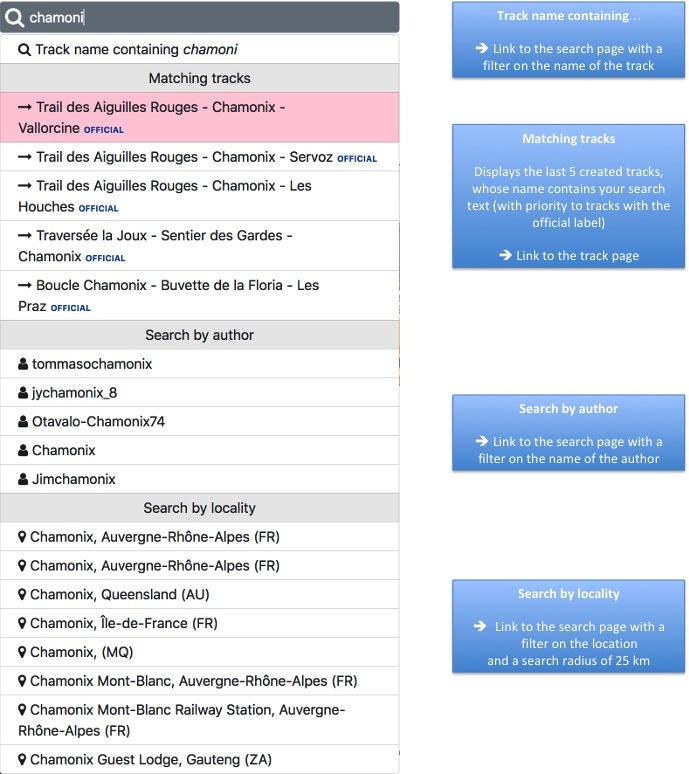 The Trail Connect search screen is very similar to the Trace de Trace search screen; it consists of a list and a filter module.